We couldn’t let the news that ‘Japan’s Funai Electric has announced it will end production of home videocassette recorders in July’ go by unnoticed. Earlier this month we wrote an article that re-appraised the question of VHS obsolescence. Variability within the VHS format, such as recording speeds and the different playback capacities of domestic and professional machines, fundamentally challenge claims that VHS is immune from obsolescence threats which affect other, less ubiquitous formats. The points we raised in this article and in others on the Great Bear tape blog are only heightened by news that domestic VHS manufacture is to be abandoned this month. It is always worth being a bit wary of media rhetoric: this is not the first time VHS’s ‘death’ has been declared. 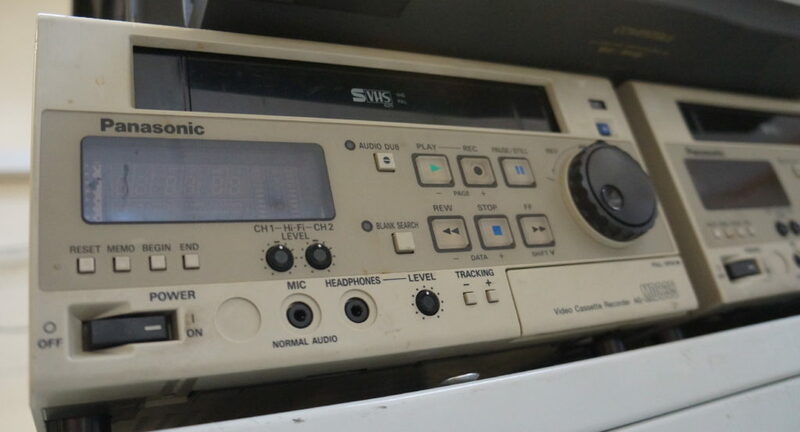 In 2008, for example, JVC announced they would no longer manufacture standalone VHS machines. Yet Funai Electric’s announcement seems decidedly more grave, given that ‘declining sales, plus a difficulty in obtaining the necessary parts’ are the key reasons cited for their decision. To be plain here: If manufacturers are struggling to find parts for obsolete machines this doesn’t bode well for the rest of us. The ‘death’ of a format is never immediate. In reality it is a stage by stage process, marked by significant milestones. The announcement last week is certainly one milestone we should take notice of. Especially when there are several other issues that compromise the possibility of effective VHS preservation in the immediate and long term future. As ever, careful assessment of your tape collection is recommended. We are always on hand to talk through any questions you have. This entry was posted on Thursday, July 28th, 2016 at 8:40 am	and is filed under Video Tape. You can follow any responses to this entry through the RSS 2.0 feed. You can leave a response, or trackback from your own site.